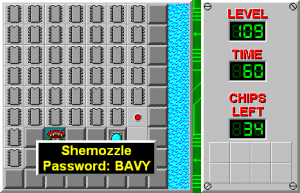 Shemozzle - The Chip's Challenge Wiki - The Chip's Challenge Database that anyone can edit! For this race, your sheep dog will meet you at the end. Not all chips are required. Shemozzle is the 109th level in Chip's Challenge Level Pack 4. It was created by J.B. Lewis. 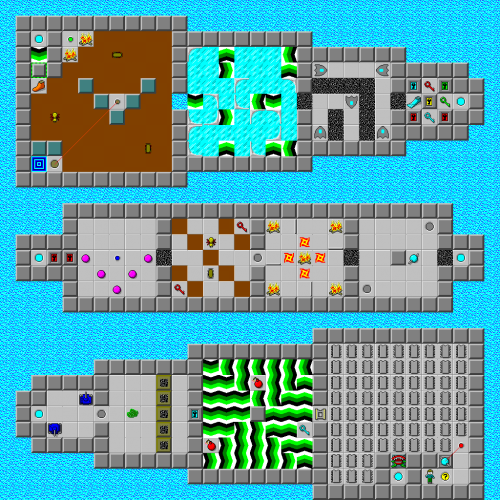 This level is the same level slot as it is from its original set. However, this was unintentional.